Lundy Waxed Canvas Rucksack, whether taking a hike in the woods or you need to travel overseas, possessing a sturdy backpack is always a good idea. 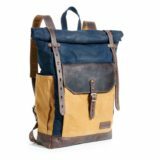 This Lundy rucksack combines chic style with a rugged durability. Most users will be quite pleased. What have our experts observed and is it worth the money? Comfort One of the few issues that we encountered with this rucksack is that it was not as comfortable as some models. This has to do with its canvas and leather construction. While quite durable and attractive, some users might find that the straps dig into their shoulders during a long walk. Whatever was lacking in comfort is certainly made up for by superior levels of durability and safety. We should note here that this backpack is comprised of a waxed leather outer layer. It is therefore perfectly able to transport laptops and other sensitive gadgets. Adjustable straps will sit snugly on the shoulders. This bag is designed for both men and women. All items are handmade. A considerable attention to detail is another advantage when compared to mass-produced items. However, the unit is not designed for heavy-duty hikes or rough outings in the woods. If the leather is not cared for properly, there are chances that it could crack and possibly damage the inner contents. This backpack is extremely easy to use thanks to the aforementioned adjustable straps. A roll-top fastening system ensures that contents will remain safe. The main flap can also be opened in a matter of seconds. There are two separate interior compartments and one of these employs a zipper to store loose items. All in all, its ergonomic design is very efficient. 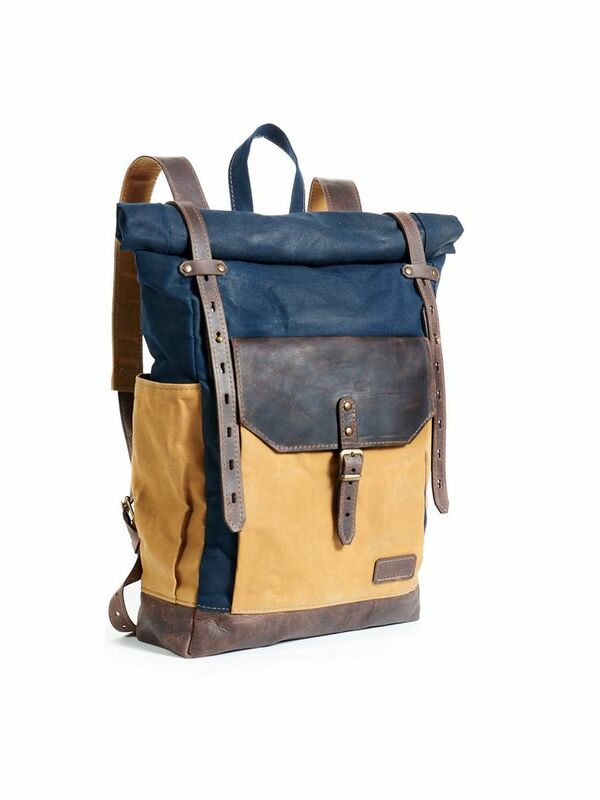 This Lundy waxed canvas backpack is currently priced at just under £100 pounds (€108 euros). It therefore sits in the “middle of the road” in terms of cost. A reliable warranty combined with a notably sturdy construction should guarantee years of continuous use. It is therefore a good value for your money. We should still mention that more modern bags could be better for demanding requirements.